If you’ve never been to a regular dental checkup, then you’re in for what can be a life-changing experience. Living with dental pain, gingivitis, and periodontal disease is nothing anyone should have to endure, and if you start scheduling a regular routine of dental checkups and following good oral hygiene odds are you’ll never have to do it again. 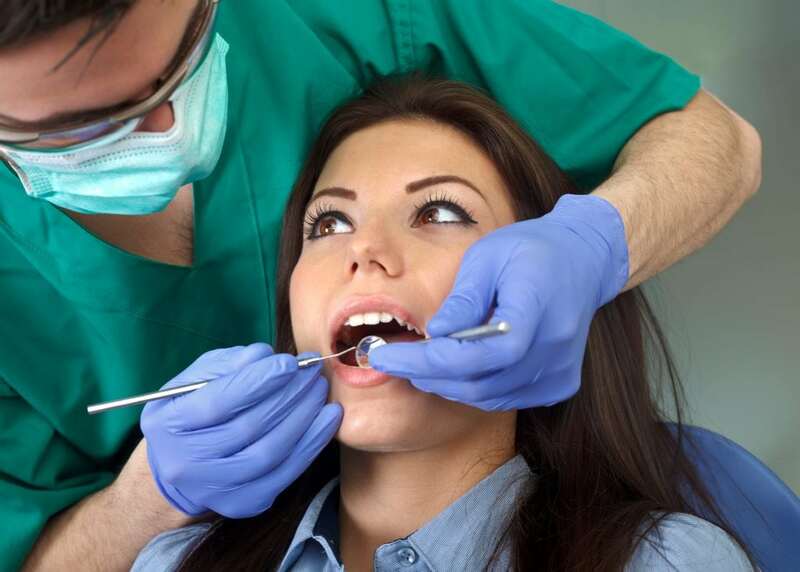 Dental checkups are a fairly standard part of most peoples health care routine, and they’re a simple and painless experience that you’ll likely come to look forward to. A dental checkup is fairly straight-forward, being a meeting between you and your dentist to discuss your dental health habits and how your oral health is fairing. They can also be a very educational experience as your dentist helps you learn how to take care of your teeth and gums properly between visits. During the exam, your dentist will look for early warning signs of any dental concerns that could be on their way to being significantly worse than they are presently. By catching these early you can enjoy years of healthy teeth and easy visits. Even with the most diligent dental health routine odds are good you’ll see a gradual buildup of tartar on your teeth. Tartar occurs when plaque has a chance to build up and creates hard deposits on your teeth that can’t be removed with normal brushing. Using a scaler your dentist will scrape away tartar without damaging your enamel, and will also get down below the gumline where plaque can build up out of sight. Once all the plaque and tartar has been removed your teeth will be cleaned using a paste that is gentle but abrasive. This smooths out the teeth so that plaque has difficulty taking hold again. Once your teeth have had the buildup of plaque and tartar removed the dentist will then go on to ensure they aren’t experiencing any decay. They’ll also take time to examine your gums to see if they’re puffy and red or exhibiting any other signs of gingivitis and ensure that your teeth are sitting together correctly. During the exam they’ll also look for wear associated with grinding, listen to your temporomandibular joint to see if there are any problems forming there, as well as look at your neck, palate, lymph glands, and the various organs of your mouth (lips, cheeks, floor of your mouth, and tongue) for any sign of oral cancer. Don’t let another day go by without scheduling your next dental exam, research has revealed that dental health is important to the health of your entire body. Don’t forget to mention if you have any other health concerns when scheduling the appointment, as conditions like diabetes and cancer can result in further complications with your dental health. Pick up the phone and call Dr. Ross Quartano at Magnolia Dental for an appointment today! They’ll schedule you for a consultation and ensure that you are able to keep a bright and friendly smile for years to come.